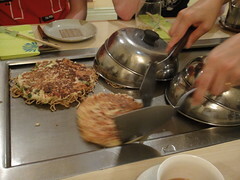 We had decided beforehand to meet up at Abeno Okonomiyaki restaurant near Tottenham Court Rd for lunch. It was late in the afternoon so we were all quite hungry. 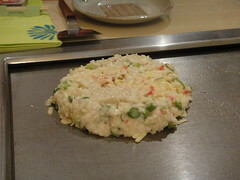 If you’ve never had Okonomiyaki before, the best way I can describe it is as a cross between an omlette and a pancake. You pick several savory ingredients like pork, squid, tofu or cheese and they are all mixed together and cooked on a hot grill. 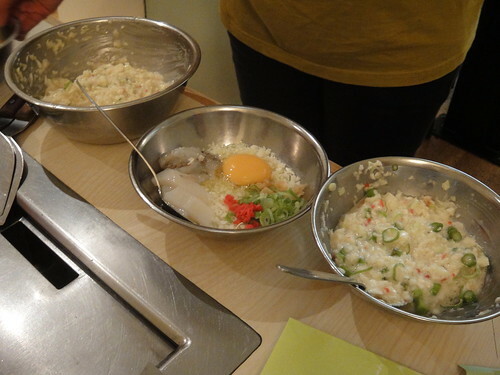 Here are the raw okonimyaki mixes – the one in the middle shows several ingredients and the other 2 have been vigorously combined by the server. In the meantime, some meat is cooking on the grill. 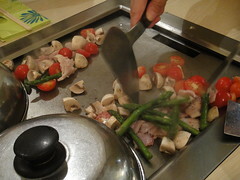 After the okonomiyaki is mixed it’s put onto the grill to start cooking. 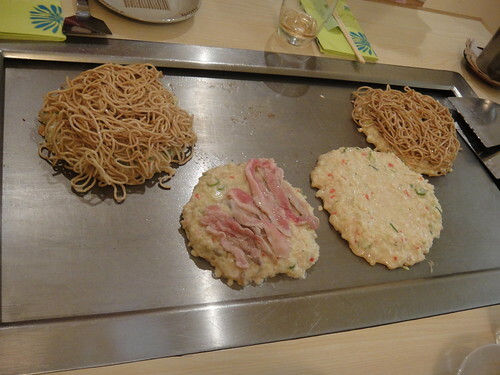 Additional ingredients like bacon or noodles are placed on top of the okonomiyaki. 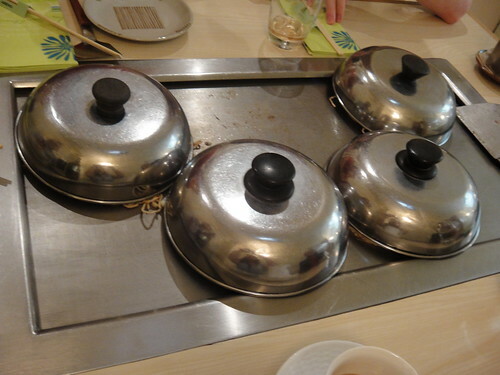 And then it’s covered with a pan lid to help speed up the cooking process! 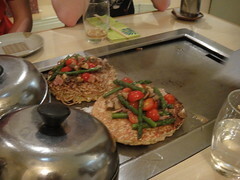 fransgaard and I both chose one of the seasonal menu items that had mushrooms, tomatoes, asparagus and bacon in it, and these were brought over midway through the okonomiyaki cooking process and they were tossed onto the grill separately. 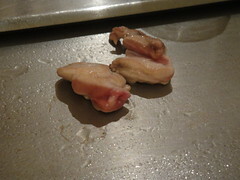 Time to check on the cooking process and give these things a flip and turn! 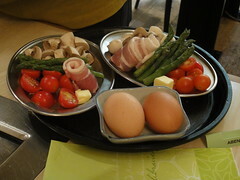 And add any other ingredients to the top! 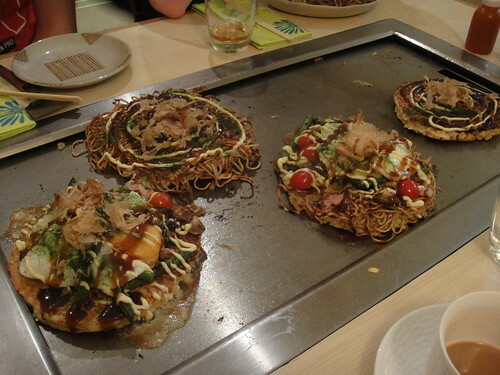 The okonomiyaki are dressed with mayonnaise, okonomiyaki sauce, seaweed and fish flakes just before serving. They look so delicious! 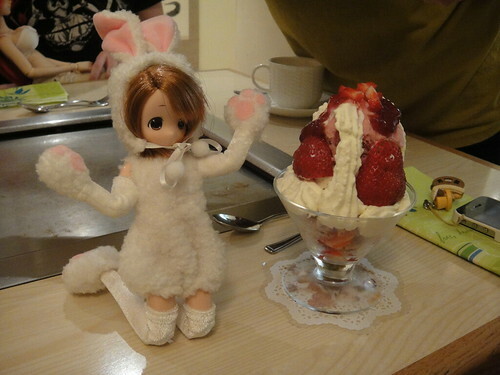 After the main course was put away into our hungry tummies and the table was cleared, the dolls came out for dessert time! Omnomnom! 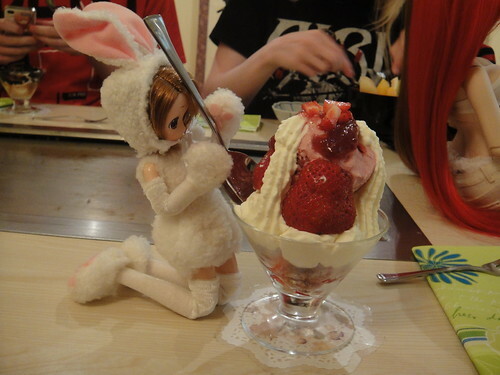 Time to dig in! Here is the lovely Yuki Morikawa. 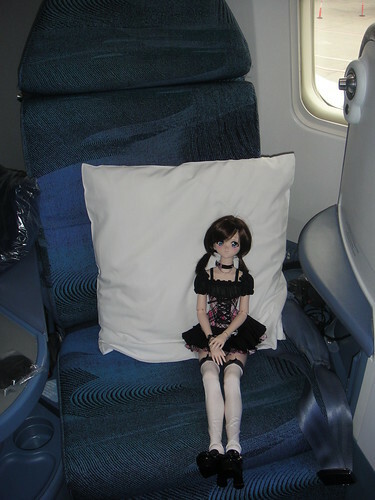 I love her face sculpt, but the price on her has skyrocketed since Danny Choo adopted one and blogged about her. She’s so incredibly pretty – I totally understand why people fall in love with her. 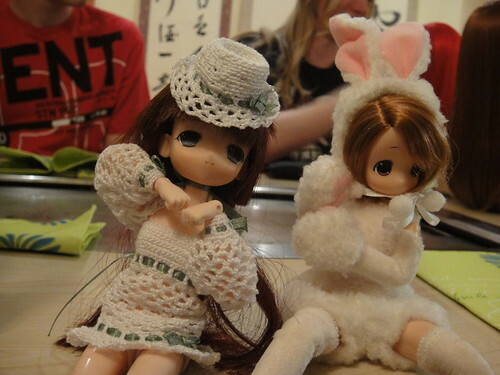 Here’s Bunny with Jezatron’s girls – the lovely Dollfie Dream Dynamic Yoko, and a new resin girl from Asleep Eidolon called Yara. 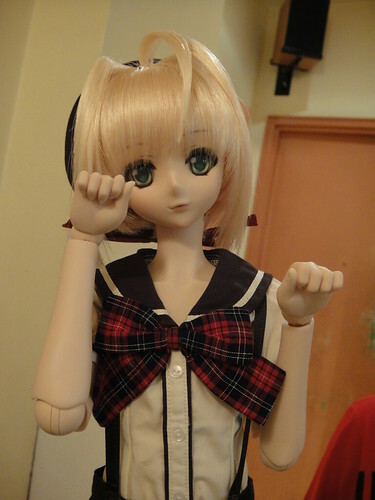 This was the first time I’ve met a DDdy up close so I was quite curious to check out the differences in the body. Aside from her huge knockers, her waist is super slim and she has really big hips! No wonder DDdy and SD16 can share clothes! 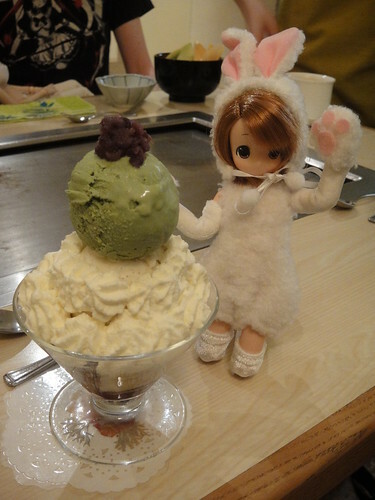 But Yoko was not going to miss out on all the fun! It turns out DarkDollhouse had more in her bag! 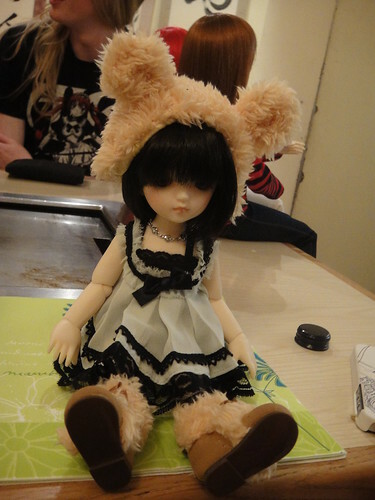 Here’s another little mamachapp with Bunny, and her sweet little Volks Yo-SD Chika, who is named Pino. 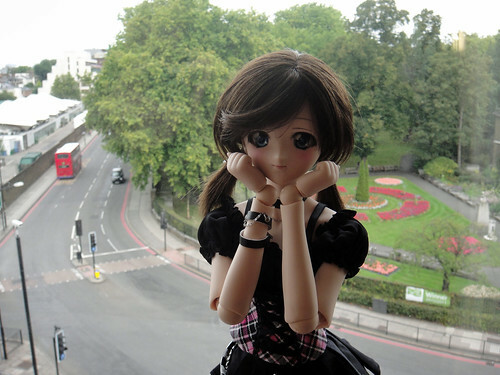 This entry was posted in BJD Misc, Doll Meetup, Dollfie Dream and tagged Dollfie Dream, London, Moe, Volks by archangeli. Bookmark the permalink.